The future is on its way, one disruption at a time. The fevered imagination of science fiction novelists is already being translated into hard reality in ways one couldn’t have ever imagined. The giant strides that the different avatars of automation technologies – Robotics Process Automation (RPA), cognitive analytics and Artificial Intelligence (AI) – have taken in the last one year has cut short their incubation and made them a commercial reality with businesses today. There is also massive hype surrounding other emerging technologies – namely blockchain, Internet of Things (IoT), smart contracts, among others – and these promise to change the procurement business landscape in a manner and at a pace, never experienced before. From a traditional perspective, procurement has been rather unhurried in its adoption of technology. However, as procurement seeks to transcend traditional boundaries (of being very tactical) and become more strategic in its outlook, it has little choice left but to self-disrupt with relevant technology enablers. And automation’s potential of facilitating a fully digitized procurement function requiring minimal human intervention, has caught the stakeholder’s fancy. RPA: This really is the springboard of all automation technologies. RPA seeks to automate non-intelligent, non-judgment driven, simple rules-based tasks. This instance of automation technology can only be applied to tasks where the outcome is predictable and requires no cognitive or judgment skills. Any mundane, routine-based roles are likely to be impacted by RPA initiatives that have resonated with business and procurement stakeholders. Cognitive Analytics: Cognitive analytics implies the use of advanced analytical tools (viz., Python, Splunk, R, Sumo Logic, etc.) to ‘predict’ and ‘recommend’ a future course of action for specific business problems and scenarios. This happens to be a notch above the predictive analytics tools (with an ability to recommend and not just predict) that have been at our disposal for over a decade now. Cognitive analytics with their recommendation engines also power various AI systems, which happens to be the ‘last mile’ in the automation spectrum. AI: Artificial intelligence incorporates attributes of natural language processing (NLP), machine learning (ML), deep learning (DL) and other algorithms to present users with an option of automating complex processes requiring judgment skills (and human intervention). These systems can organize unstructured information and derive meaningful insights from the same (which power the next set of action from the AI system). Essentially, AI systems have the capability of automating any tasks that require human intervention such as, planning, strategy formation, subject matter expertise driven advisory, etc. Procurement automation cannot simply be powered by one of the automation form factors in silo. An end-to-end source-to-pay automation initiative needs a blend of the different options. Considering the varying levels of maturity (and readiness) of the three form factors, there are hardly any demonstrable instances of source-to-pay being automated in entirety. Most ongoing procurement automation initiatives are targeted at specific processes within the source-to-contract and procure-to-pay spectrums. While the volume and velocity of chatter surrounding automation technologies and their potential to impact procurement is growing with each passing day, the fact remains that the initiative remains in its infancy with limited implementation case studies that are mainly restricted to the downstream processes (procure-to-pay). Select upstream (source-to-contract) processes also bear potential to be automated. However, the upstream processes, which require a certain amount of judgment, aren’t nearly as popular as their downstream counterparts (e.g., invoice receipt, processing and other P2P processes) that are rules-driven and structured in nature. The downstream Procure-to-Pay (P2P) processes are mostly rules-based and involve structured data. 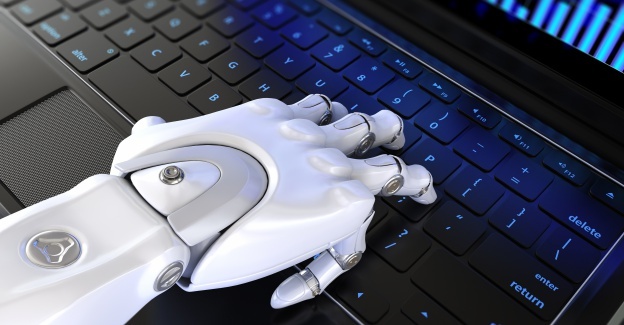 Given this context, the downstream processes (requisition and PO processing, invoice processing and payment) can mostly be automated by the application of RPA technologies. In select cases, certain AI form factors can be leveraged to drive better results and efficiencies (for example, in help desk management, while L1 activites can be addressed by RPA, L2 will support will need AI form factors such as Virtual Agents, NLP and ML for the activity to be completely automated. Similarly, in catalogue management, recommendation engines which leverage AI algorithms can facilitate instances of ‘guided buying’). The illustration below details the P2P processes and their respective fit to the automation form factors. In present-day context, spend analysis, contract redlining, alert generation and reporting (to denote upcoming contract anniversaries), compliance, requisition and PO processing, invoice processing, payment and L1 support (help desk) are processes that are being proactively targeted for automation roll-outs. The resulting benefits which accrue in the form of significant cost savings (30% - 60% reduction in FTEs) and productivity improvements (15% - 45% reduction in average handling times, AHT) present compelling business cases for automation’s foray into sourcing and procurement. Automation has really opened doors for sourcing and procurement to realize its much-awaited objective of freeing-up resources from routine and tactical tasks and allowing them to pursue strategic activities which can add greater value to the organization. As a next step, procurement stakeholders must shortlist specific processes that can be likely targets for automation. Executives seeking to secure quick wins are recommended to target opportunities that have RPA in scope: these are likely to be cheaper and quicker to implement than the sophisticated cognitive and AI technologies. Budhaditya Banerjee (Budha) has close to a decade’s experience as an IT subject matter expert. He currently leads GEP’s IT advisory business which involves handholding CIOs and IT category leaders on an array of complex sourcing and category management issues. Budha is a trusted voice with his clients on issues relating to legacy and the disruptive IT offerings.